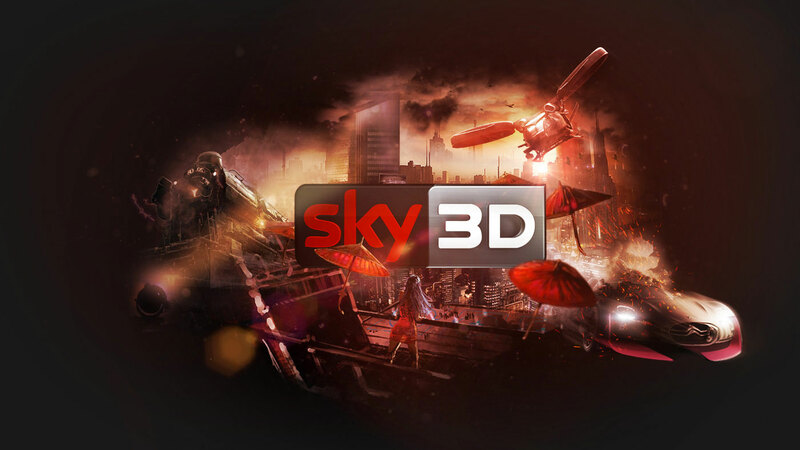 SKY3D is the first channel in stereoscopic 3D ever made in Italy, airing from September 2011. The channel broadcasts movies, sports and entertainment 12 hours a day, from 1:00 pm until 1:00 am. Supported by Samsung, Sky Italy carried out a highly ambitious project, offering contents suitable for new generations of passive stereoscopic 3D TVs. 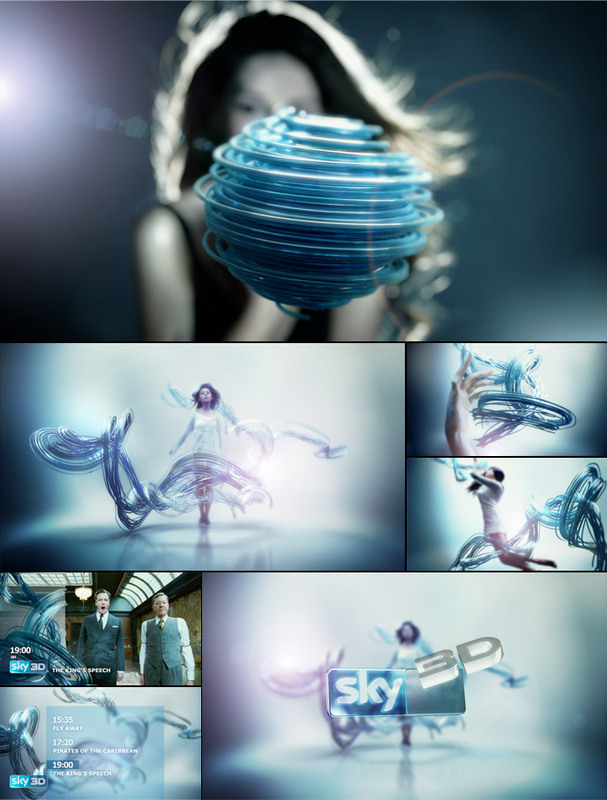 We were asked to investigate the feasibility of it, and after various proposals we were given the great opportunity of being one of the first agencies in Europe to deliver a complete channel package in stereoscopic 3D. The hardest task was to break through a technological barrier. To achieve and create an entirely stereoscopic channel you have to think in the “fourth” dimension. It was a pioneering path fo follow, as plug-in and various development platforms, which today are almost entirely up to date, were not yet fully mature. It was necessary to isolate the subject of the animation from the background and ensure that it would break through the screen in the right way. Objects could not be cut out, nor exit the 3d safe frame, but they should come towards the viewer using fixed levels and then back again. All this rules were to be considered in order not to lose the third dimension effect. We have created tapes that wind, made of vivid and playful colors, in which elements that would recall various themes of the channel were added. To work as effectively as possible, we developed ad hoc a plugin for Cinema 4D, which allowed us to work faster. Thousands of tests were made after that: people wandering in the studio wearing 3D glasses, while curious neightbors looked disoriented at them sitting in front of a television watching blurred lines. The work was presented on September 6th 2011 and the stereoscopic was just perfect. The 3D effect breakout of the various elements allowed us to explore a new entertainment dimension.